Dr. McNeil’s easy going demeanor makes patients feel comfortable in the Dental chair. She has a ‘no lecturing’ policy for new patients whether it has been one year or twenty years since he or she has been to the Dentist. Her goal is to have even the most phobic patient smiling by the end of the appointment. Dr. McNeil enjoys all aspect of dentistry including Invisalign, which she has performed since 2009. Dr. McNeil was born and raised in Corpus Christi. She attended the University of Texas for her undergraduate degree and then proceeded to San Antonio for Dental school. 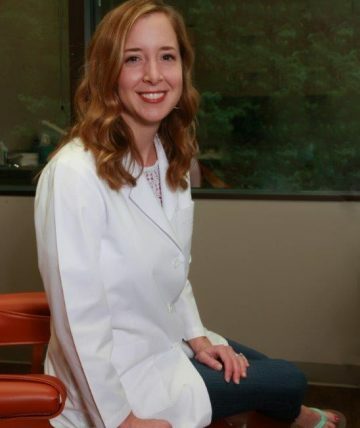 Having fallen in love with Austin, she returned after graduation in 2006 to settle down and practice dentistry. She was thrilled to join Brilliant Smiles in 2008 and has been making patients smile here ever since. Dr. McNeil and her husband, Kevin, enjoy spending time with their energetic little boy, Ryan.